This post is written by Jens Lerche, Reader in Agrarian and Labour Studies in the Department of Development Studies, SOAS and Editor in Chief of Journal of Agrarian Change, Alpa Shah, Associate Professor (Reader) in Anthropology at LSE, and Barbara Harriss-White, Emeritus Professor of Development Studies at Oxford University. It is now half a century since the small uprising in the village of Naxalbari in West Bengal led to the spread of a Maoist inspired revolutionary armed struggle in India, that is still ongoing. But with the Indian state now bent on crushing these Naxalites, and with the more general challenges faced by parliamentary communist parties across India, the question of how to analyse the agrarian economy – the basis of left strategy for a communist society in many parts of the world – remains of the utmost importance. There are many unresolved questions for scholars, activists and left parties alike. How important are semi-feudal production relations? Should the aim be to eradicate semi-feudal relations in agriculture and to develop a modern, industrially based capitalism? Is global agribusiness exploiting Indian farmers and if so, is this the main problem for both big and marginal farmers? Should the focus still be on land reforms and if so, what kind of reforms and why? Or should landless peasants, labourers and petty producers unite against rural and urban capitalists, along class lines? And what does the analysis of the agrarian economy mean for struggles against dispossession by mining and industrial conglomerates and the neo-liberal industrial development they are proponents of? A special issue of the Journal of Agrarian Change (JAC), analysing underlying developments in the Indian countryside and assessing the analysis and the political strategies of the Indian left parties of CPI, CPI(M) and the CPI(Maoist) (the latter otherwise known as the Naxalites) is now free to download for two months. The JAC issue argues that there is a serious need to think anew the analysis of agrarian change – particularly the persistence of semi-feudalism – dominating the programmes of most left parties in India. John Harriss’ article Does ‘Landlordism’ Still Matter? concludes that the classic ‘semi-feudal’ landlordism and semi-feudal surplus extraction has substantially transformed across the country. Isabelle Guerin’s study of Bonded Labour, Agrarian Changes and Capitalism, focusing on empirical research in Tamil Nadu, shows that today, bonded labour in sugar cane harvesting, brick kilns and rice mills, far from being pre-capitalist, is a crucial means by which capital disciplines and cheapens labour. Deepankar Basu’s and Debarshi Das’ article on The Maoist Movement in India, analysing country-wide macro-data (on land-holdings in particular), concludes against the Naxalite analysis that the country is no longer semi-feudal and semi-colonial, and argues that the contradiction between feudalism and the broad masses should no longer be the primary contradiction structuring strategy and tactics. 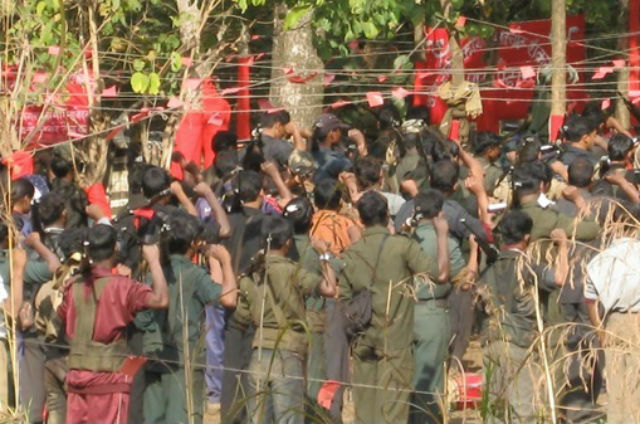 But even in the Naxalite guerrilla strongholds in the Adivasi forests of eastern India, Alpa Shah, based on ethnographic research, argues that The Agrarian Question in a Maoist Guerrilla Zone was in fact never one of a transition from semi-feudalism. She suggests that the stageist model of transformation disabled the Naxalites from taking full account of the revolutionary potential of the communal aspects of Adivasi social forms and anti-state politics. Moreover, she argues that capitalist migrant labour relations now are economically vital for the reproduction of Adivasi households. Indeed, at an all India level, Jens Lerche in The Agrarian Question in Neoliberal India argues that the rural labouring classes are now fully integrated into the neo-liberal capitalist economy and into capitalist class relations but that the transition to classic industrial capitalism has been by-passed. Most rural people find themselves with one foot in the agrarian economy and the other in informal precarious jobs or petty production outside agriculture, under the worst possible conditions. Fifty years after the Naxalbari uprising, the underlying issues of inequality and oppression have not gone away but they have changed shape. But with the inadequacy of the semi-feudalism analysis, the basis for a whole raft of political positions challenging inequality fall away, including the argument for armed struggle in its classic form. The special issue suggests that class politics remains central but must now relate to the conditions created by neo-liberal capitalism, including complex seasonal informalised migrant labour relations, capitalist agrarian relations, continued capitalist land grabs and increasing inequality, persistent exploitation and social oppression. In contrast to the semi-feudal thesis – and also to a focus on transnational agribusiness and transnational capital as the main enemy of ‘the peasantry’ – it is shown that there is little that unites the main agrarian classes of capitalist farmers and the marginal farmers/seasonal labourers. The implications of these debates are significant not just in India but across the Global South. Jens Lerche, Alpa Shah and Barbara Harriss-White jointly edited this special issue of JAC. To contact the authors: Jens Lerche (jl2@soas.ac.uk), Alpa Shah (a.m.shah@lse.ac.uk), and Barbara Harriss-White (barbara.harriss-white@qeh.ox.ac.uk). For more read ‘Agrarian Transitions and Left Politics in India’ Journal of Agrarian Change 13(3), 2013. This post was first published on the website of the Economic and Political Weekly.